Bath is a beautiful Georgian city in Southwest England. It’s so gorgeous and historically important that the whole city is actually a UNESCO World Heritage site. Famous for its Georgian terraces, Regency architecture, seven hills and thermal springs, the city has one of the best-preserved Roman spas in the world. During the eighteenth century Bath was at the centre of fashionable society because of the popularity of its thermal baths. Today Bath is still an amazing place to visit and has loads on offer for families with children. The city centre is compact and easy to explore on foot. 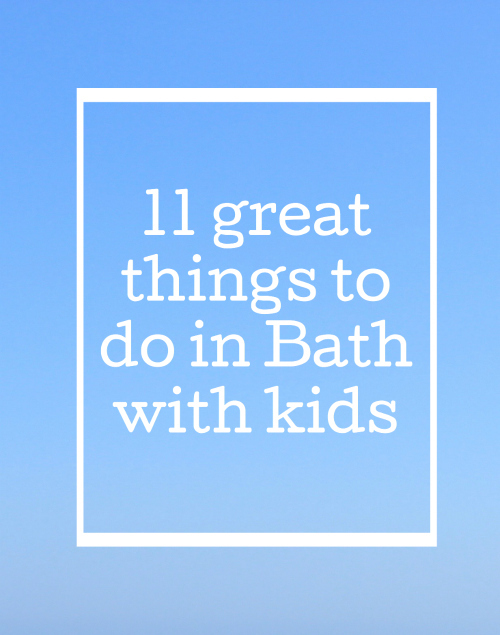 Here are some of the best things to do in Bath with kids. 2,000 years ago the Romans built an extensive spa complex to take advantage of the thermal waters. The Roman Baths are fantastically well-preserved and you can still visit them today – although you can’t actually swim in them! Admission includes an excellent audio guide and there’s a children’s one narrated by Michael Rosen. My daughter was fascinated by the Roman Baths when we took her there when she was six years old and she really enjoyed listening to the audio guide. The Victoria Art Gallery is free to enter and is the city’s second most visited museum. The collection includes items from the fifteenth century to the present day – they’ve recently acquired a Grayson Perry print. It’s a friendly place to visit and has lots of colouring and drawing resources for children as well as an interesting programme of family events. No. 1 Royal Crescent is a Georgian town house where you can see what life was like inside these iconic buildings for wealthy families and their servants during the eighteenth century. The house was originally built to provide accommodation for aristocratic visitors who had come to Bath to take the waters. It’s a fascinating place to visit and there are regular family workshops on offer. The Egg Theatre is housed at Bath’s Georgian Theatre Royal. Its programme of performances and events is specifically for children, teenagers and their families. It offers performances every Saturday and during the school holidays and also has a play area and a family-friendly café. The Fashion Museum has a collection of around 30,000 items of dress from the sixteenth century to the present day. There are 150 dressed figures on display wearing items from the collection to illustrate how fashion has changed over the centuries. There’s a dressing- up area where you can try on reproductions of historical clothes. Sally Lunn was a French refugee who arrived in Bath in 1680 and established a bakery. The Sally Lunn Bun is a famous local delicacy and is still served at Sally Lunn’s Historic Eating House & Museum. Sally Lunn’s is one of the oldest houses in Bath and you can go there to eat and to visit the museum containing the original seventeenth century kitchen. Royal Victoria Park spans 57 acres and was opened by Queen Victoria when she was 11 years-old. The park has a huge play area, a duckpond, a skateboard area, mini golf and is home to some lovely botanical gardens. 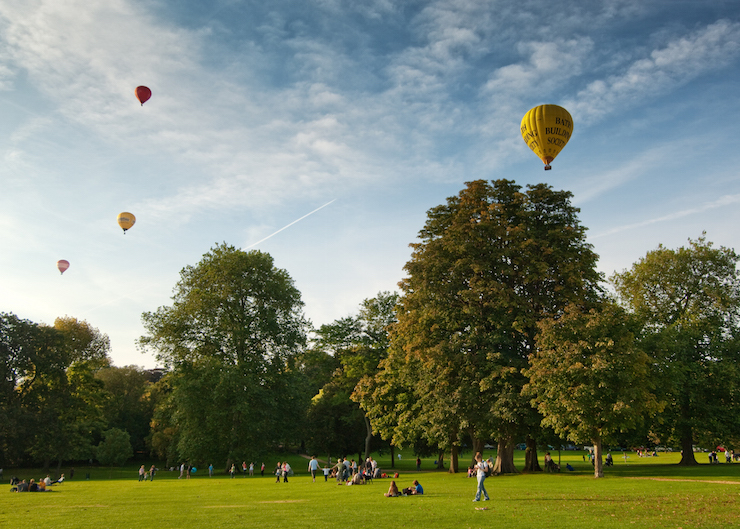 It’s a great place for a picnic and during the warmer months you can watch hot air balloons setting up and floating away from there. Bath City Farm is free to enter. Spread out over a 37-acre site the farm is home to ponies, cows, sheep, pigs, chickens and more. There’s also a play area, a climbing wall and a programme of family activities on offer. The river Avon runs through Bath. If you’d like to explore the river and see the city from a different perspective then head to Bath Boating Station. You can rent rowing boats, canoes and punts from this Victorian boating station. At Bath Postal Museum you can learn about the history of the postal service from ancient times and also the history of the post box. There are family trails around the museum, interactive games and quizzes. Beckford’s Tower was built in the 1820’s for a wealthy man called William Beckford. You can climb the steps of the 120 foot neo-classical tower for amazing views of the city. Have you been to Bath with your kids? Do you have any more tips to add to the list? 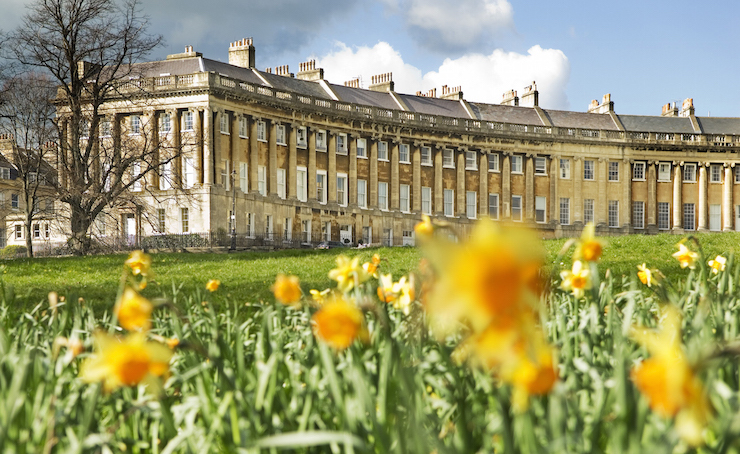 You can search for and book accommodation in Bath here. Bath is easy to get to. It’s just 90 minutes from London Paddington to the city centre by train and is a short drive from the M4 and the M5 motorways. It’s 20 miles from Bristol airport. If you’ve found this helpful, you might like to check out my monthly roundup of things to do in London with kids, or sign up to receive my latest posts by email (where it says YOU’D LIKE TO RECEIVE POSTS BY EMAIL? in the sidebar on the right). This post is sponsored by South West Trains who offer train services to Bath and across the region. South West trains offer a GroupSave discount of up to 34% if you’re travelling in a group of 3-9 people. Disclosure: This post contains some affiliate links, which means that if you clicked through and booked I may receive a small commission. All opinions and words are my own, as ever. I love Bath, I go every year. 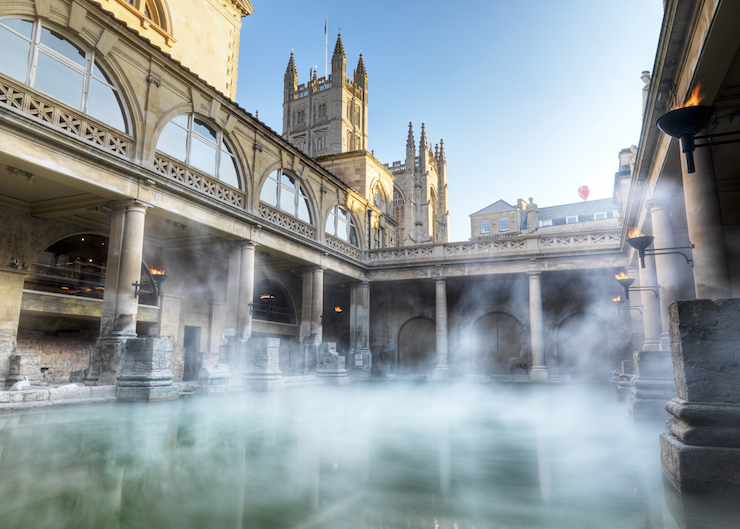 The Roman baths are excellent, and I really want to visit the Therma Bath Spa. I’d love to go to the Thermae Bath Spa too, it sounds great. It’s been some years since we have been to Bath but now Rory’s in Exeter, we may well start revisiting these beautiful places when we are in the South West. A lovely excuse to go back there! We’ll be going to Uni open days over the next year so I’m hoping to tie that in with exploring some new places.